BOTOX® is the only approved treatment on the market to temporarily improve the signs of moderate to severe frown lines between the brows and crow’s feet lines. Reducing, the appearance of wrinkles that cause these unwanted and unnecessary lines, Botox works beneath the skin’s surface and targeting underlying muscle activity to reduce signs of aging. So why are so many people still confused by the benefits in using this product? Botox is a great alternative to invasive cosmetic procedures. Why? Because it’s quick, painless, and seldom causes side effects. You get real, noticeable results when using Botox. It can take up to 14 days to settle, but you may begin to notice results within 24 to 48 hours depending on the severity of your wrinkles. The best part, most results last up to 4 months! Botox works great on everyone! It has been proven safe for most people, especially those who wish to eliminate dynamic wrinkles. Botox works best on younger patients, and is recommended for people between the ages of 18 and 70. So what are the basic DO’S & DON’TS when it comes to getting Botox? ✘ DON’T: Massage or manipulate the area that was injected IMMEDIATELY after treatment. This is crucial in allowing your Botox to settle and do it’s proper work and give you the best results. It’s no wonder why over 11 million people get Botox on a daily basis. Botox works wonders. So what are you waiting for? 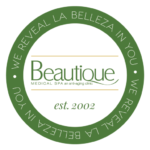 Schedule your appointment today and take advantage of Beautique’s March Mania Botox event going on March 27th-29th! Click the link below to find out more!